Teads, the inventors of outstream video advertising and a global monetization platform for publishers, today announced a new partnership with TubeMogul (NASDAQ: TUBE), a leading enterprise software company for brand advertising, to increase advertisers’ access to Teads’ premium programmatic video inventory in the U.S. and Europe. 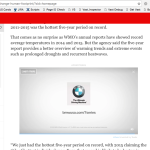 Teads’ premium video inventory spans over 500 top-tier publisher sites globally including Reuters, Forbes, The Washington Post, La Razon, DieWelt, II Sole 24 Ore, The Guardian, The Telegraph, O Globo and Le Monde. TubeMogul works with some of the largest brands in the world as well as the major advertising holding companies. 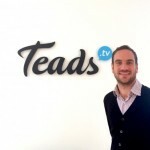 Teads, founded in 2011, is the inventor of outstream video advertising and a global monetization platform for publishers. Prestigious publishers such as Reuters, Forbes, The Washington Post, La Razon, Die Welt, II Sole 24 Ore, The Guardian, The Telegraph, O Globo, and Le Monde are using Teads platform to create brand new video inventory and to manage their existing inventory, monetizing it through their own sales force, Teads’ managed services or third parties including programmatic buyers.